Organising large scale projects can be highly stressful – especially when it’s a large scale building project for somebody’s home. Project management services can help coordinate your budget and timekeeping to help your project run smoother. What Are Project Management Services? Project Management services are offered for projects that take a lot of planning and need planning for them to run smoothly. Project management is often organised by an individual who maps out the costs on spreadsheets and is in charge of the project progress. It can be an effective way of making sure that all the work gets done and to make sure that everyone is on track. 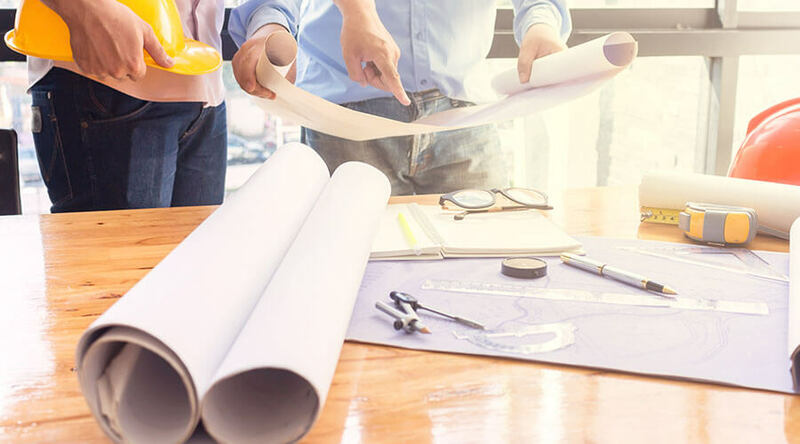 But the question everyone is asking is why should you use project management services and can they make any improvements to your construction? Keep reading to find out! By using project management services, you are able to be in the know how 24/7 which means that you can plan your days in advance and accurately map out your days. For example, if you have a project manager they can delegate specific tasks to certain individuals so that they use their time wisely and make the most out of their time. If you are not a fan of people you don’t know very well being in your house constantly, then you may want to plan everything in advance so that you can be present with the people in your home if you feel uncomfortable. Our builders Milton Keynes ensure that our work is completed to the highest of standards to satisfy all of our customers, by having a project manager who is constantly monitoring the progress of everyone’s progress you have the guarantee of a high standard finishes product. This is because project managers have a list of tasks that need to be carried out, and if they’re not then it’s their duty to ensure that the task is finished. It’s probably likely that you have a very busy day to day life and do not necessarily have the time to constantly be checking up on the progress of your building work or home improvements. By using a project management service, you do not have the stress of not knowing what’s going on or constantly have to check up on the building site. With Clarkson Builders there is always the guarantee of high-quality work, and our project managing service ensures all of our builders are up to date and working to the best of their ability. Although when carrying out any building works all building companies have to follow a strict risk assessment to ensure no injury can come to any of their staff or clients. But when using a project manager, there are regular safety checkups and even stricter health and safety guidelines, of course, things may still go wrong as some situations are inevitable, but it’s highly less likely for things to go wrong with eyes constantly on our builders and regular assessments. It’s going to make you a lot happier if you walk out of having a new build home under budget than over – which is the whole purpose of a project manager. Project managers put together things such as spreadsheets to keep a strict budget and to keep track on the amount of resources available to our builders, the time scale we have left to finish a job and the budget we have left over. A good project manager will set aside a certain amount of our clients budget to cover any emergency resources that may need to be brought in without stepping over the customers budget. Once a project has a template has been used once and designed for a project it can be recycled over and over for future projects, for example, for home extensions Milton Keynes then our project manager could use the outline of previous jobs we’ve done, but edit it to make it personal. Which means then quicker start up time due to the decreased planning time – We have found this is a really effective way of reducing the finishing time of your job. Like we mentioned before some situations are inevitable no matter how careful you are, but if you have an experienced project manager on site, then it’s highly likely that they will have the experience to address the situation quickly and carefully. With experience on previous sites, there’s not a lot that our highly trained team of project managers haven’t seen or dealt with. They have the expertise and quick thinking to figure an effective solution to address the issue. Of course, despite the fact that all of our project management team are highly experienced there is always room for improvement and nothing will ever be quite perfect. At Clarkson Builders we take constructive criticism well and believe that there is always room for improvement – which is why are builders are always on the ball busy getting things done. But by using our project management services – just like any other occupation your give our staff the opportunity to improve and work on their skill sets which can make them better and more experienced for any jobs in the future. So there are a few benefits listed of the benefits of hiring a project manager for your building work. Want the job done faster? Our latest service addition includes a man and digger hire Milton Keynes that allows us to complete larger scale jobs quicker and more efficiently. When used in the right situation you will find that project managers are able to reduce the amount of issues that may arise and keep track of everyone’s progress – so that you don’t have to! It’s likely you have enough jobs to do at the moment it’s hardly likely you are going to want to manage a large scale building project additional to that. We hope this article was informative, if it was then why not share with friends or family? Or if you know someone having a building project done soon – this could really help them out!